I’ll approach operational challenges in retail from two aspects  Customers  Products. This article is intended for those who wish to pursue career in retail and are looking for some sneak peek information to find out if retail management is indeed challenging and worth committing to. Here the scope of discussion is limited to operational challenges. If you’re keen on exploring employee related challenges in this sector, I’ve also attempted to share my HR experience in HR Challenges in Retail Management article which I wrote some time back. As I mentioned earlier, I’ll be dividing my thoughts on two levels-  Customer and  Products. 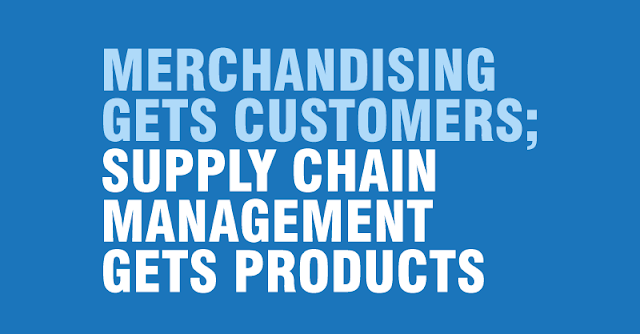 Merchandising gets customers and is a good starting point to analyse operational challenges. In a retail store, if customers get what they need, the variety that they’re looking for and they find those desired products displayed just at the right place so that they don’t miss it, then credit goes to the in- store retail merchandiser. That means the challenge here is to understand the customer's needs, the current market, and season’s forecast before buying stock. Also, merchandisers buy stock in right quantities, then business makes good profits. Stock that leads to unmanageable inventory is sure to lead to losses for the store. Before entering a store we often observe the window display, if it is pleasing we look forward to entering the store expecting that the store would be equally appealing. But what if it isn’t? If the store looks cluttered, where clothes aren’t stocked properly, the store staff isn’t welcoming, would you even feel like buying anything from there? Like merchandising, safety and security is actually for products, but I want to associate this retail management aspect with nasty shop lifting customers. Inventory shrinkage or loss of products can be caused at different stages for different reasons. For example, while manufacturing, there could be loss of raw material, or while transporting products, employee theft and last but not the least customers who steal from stores. Attending the customers, giving them feedback, answering their queries, looking after the refunds and returns and assisting them in shopping is necessary operation for a retail manager. In today’s times, it’s all about customers. Challenge is to always put customer at the centre of the retail business and yet manage other operations. Solution requires having less but well trained staff, giving better customer service. It sounds good in theory, but practically it is not so simple to implement. Products that you as a customer see on shelves have a journey of their own. It is a process in itself to ensure that products reach the store where customers can buy. Look at the product you are buying. Manufacturing it required raw materials, maybe different parts got prepared in different locations, and then finished product got transported from factory to stores via distributors, wholesalers, etc. There are operational challenges involved at each of these retail management steps and at many more stages which are not described here. For example, there are multiple departments involved in this supply chain. When these departments function on their own, without effective collaboration and communication, there are losses at various levels. Then dependency on manual processes affects operations in a big way. ERP offers a solution in one way to automate processes in SCM. But ERP itself is a double edged sword. There are organizations which have failed miserably after moving to ERP systems due to various reasons which I think deserves a separate article! Next example is that of fast changing trends or new innovations putting huge pressure on retail supply chain, leading to new sources of procurement of raw materials or just-in-time production models to cater to multiple markets and channels to name a few. This topic is also a part of supply chain management. Stock and inventory management is a crucial part of running a successful retail business. And here is why. When stock is purchased it is with the intention of being sold. But what if stock is bought more than your estimated customer’s demand? What would happen if the merchandise is out of trend? Who will pay for a commodity that fails to meet the quality standards? It all would lead to dead stock, ultimately leading to a huge loss to the store. Hence, it is necessary to stock the right quantity of good. A retail manager must ensure that the items are stocked properly in quantity as well as quality. Also, merchandise is stocked in the warehouse. One also has to see that the travelling time to transfer good from the warehouse to the store is less. This helps in the smooth functioning of managing the goods and would also prevent any kind of tampering of the product that is at higher risk if the distance is more, rough roads, climatic conditions etc. The challenge lies in stocking the correct quantity and to make sure that the stock it delivered safely to the outlet. Operations in Retail Management is a challenging career. As a fresher, to pursue career in this sector you can opt for an Operations Management course or MBA in Retail Management. Check for colleges that offer these courses. Also, check the syllabus and the duration to compare retail management courses. This is by no means an exhaustive list of operational challenges in retail management, but just enough to give you an idea. As you go deeper exploring each of these topics in detail, you’ll discover more complexities especially in the context of modern retail with the boom of e commerce and different business models like brick and click. Despite these challenges, the retail sector in the country is booming and attaining great heights. FDI in the sector would play a major role and enable a takeoff of the modern retail in the country. Emerging market economics have ensured that the modern retail sector will reap the benefits and be an attractive sector for investments as well as employment. I am willing to give you a pat on the back for such an interesting post about best essay writing service. I was wondering for the information, what are the ways to use the best essay writing service? Now, I got quite impressive information to cater my needs. I read your article and it is good. But, the best and the leading assignment help service and homework help providers striving continuously to offer authentic and plagiarism free essay help to the students of Australia, UK, USA, New Zealand, etc. Projectsdeal provides expository, analytical, argumentative persuasive Essay Writing Service and editing services. Wе hаvе a unique аnd іnnоvаtіvе price саlсulаtоr thаt hеlрѕ calculate the best роѕѕіblе rate for your Dissertation Topics writing rеquеѕt.